How Does Soiree Raise Money? Annual Christmas Tree Collection - centred in West Hove, a house-to-house collection of trees that are collected for a small donation and taken for recycling, lovely video on YouTube from the most recent collection on 6th January 2019 from one of our volunteers, famous blogger Niomi Smart, and lots of pictures on our Facebook page. Annual Charity Cricket Day - held in September each year at the County Cricket Ground, Hove, featuring a special guest MC and charity auction. Find details of this years event here. The Loose Cannons - a choir with Club and other Rotarian members and non-members that perform in a variety of different locations throughout the year. Musical Tribute Nights - We regularly arrange social events that are a great way to raise funds to benefit our current projects. 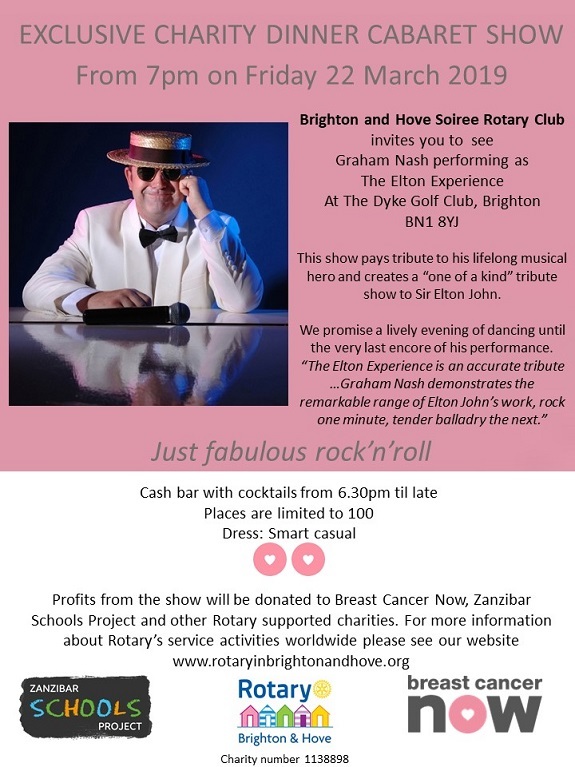 Our Elton John tribute night was a fantastic success, raising funds for Breast Cancer Now, Zanzibar Schools Project and other Rotary Charities. Clarins Night - an exclusive pre-Christmas shopping night with some great offers from Clarins, based in Boots in North Street, Brighton. Fashion Sales - superb new fashions sold at very special prices. 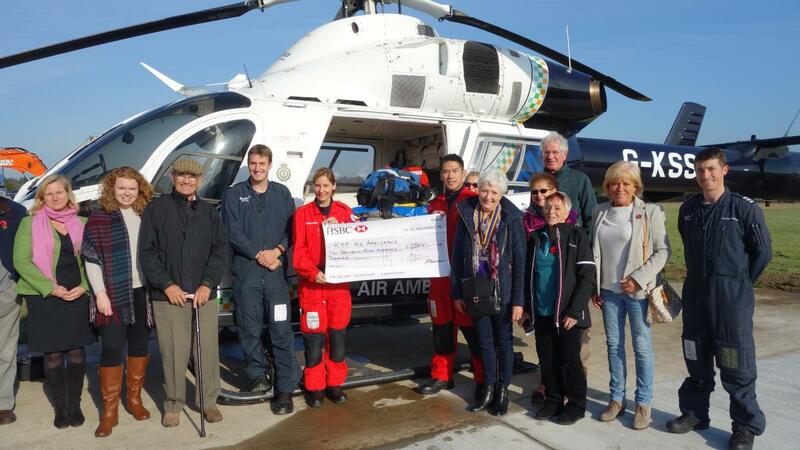 Halloween Night - our ever popular community and fundraising event held on October 31st every year at at Hangleton Manor, Hove, BN3 8AN. Collections - occasional charity collections at local supermarkets, music performances and sporting events. Business Sponsorship - the Club is grateful to a number of businesses that support our events through financial donations, gifts of auction and raffle prizes and attendance at events. Brighton and Hove Soiree is also a member of the Brighton Chamber of Commerce.